Traralgon Mazda are proud to offer our custom-built BT50 BBQ Ute to use FREE OF CHARGE* to help support your Sporting club, School, Community group or organisation. Here at Traralgon Mazda, we believe in supporting our local community. 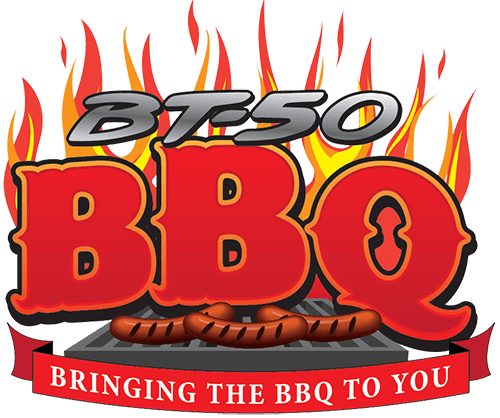 One initiative is our BT50 BBQ, it’s portable, Convenient, easy to set up and Free to use. Perfect for a fundraising BBQ, post training feed, match day, School Fete or social event. It is available to use Free of charge, click the book now link to enquire. Featuring a Clubman 4 burner hotplate, twin gas bottles and all the accessories, you need to cook up a feast. Simply pull up, lower the tailgate, slide out the BBQ and start cooking. Nominated driver must complete a vehicle loan car form and have a current full drivers licence. Only the nominated driver will be permitted to drive this vehicle. Vehicle to be picked up from Traralgon Mazda Princes Highway Traralgon. Nominated driver will be required to fill out a condition report before and after use. We know BBQ’s get dirty, but we ask that you remove any food scraps and residual oil/fat after use.